Your perfect logo. Your inspiring brand. Your dream website. Effective print, web and marketing solutions. Hester Designs creates clear, effective graphic designs for your marketing projects. Whether it’s a logo, business card, brochure, website, sign or branding your entire company, we will collaborate with you to produce polished creative design concepts. Let us help you make a lasting impact. No theories here, just proven results. Your perfect logo. An inspiring brand. Your dream website. Whether it’s a logo design, business card, brochure, website, sign or branding your entire company, Hester Designs will help you make a lasting impact. Designed with Heart for Accessibility. Grow your audience by up to 12 percent. Hester Designs is knowledgeable in Web Content Accessibility Guidelines (WCAG) 2.1 and knows the latest techniques for meeting online accessibility and ADA compliance. We are dedicated to inclusive design and are advocates for better design that meets these guidelines where possible. We can also help train your team about where accessibility applies to your organization. We can help you with web page testing, design consulting, compliant web development, consulting on accessible content, color contrast compliance and accessibility training. Start your project today. Call 405-235-5363. 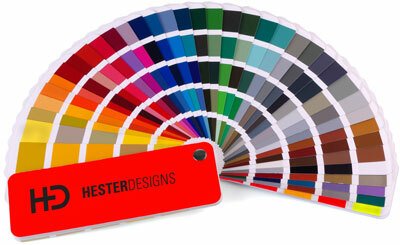 Hester Designs offers free estimates and affordable project-based pricing. No hourly rates here. Expect great value for seamless projects every time. Mon. – Thurs. 9 a.m. to 5 p.m.
Fri. 9 a.m. to 3 p.m.